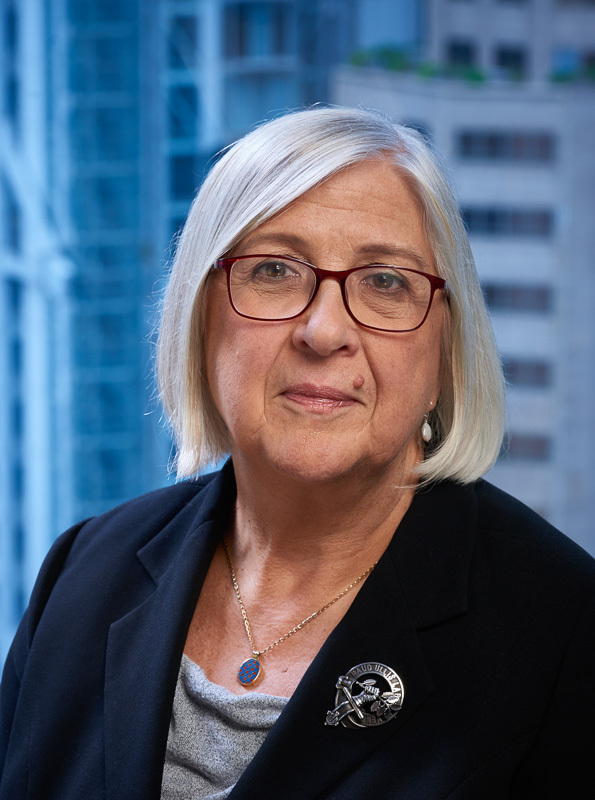 Frances Irving of Des Voeux Chambers concentrates wholly on family matters, operating in both the financial and custody spaces, her expertise covering such areas as nuptial settlements, ancillary relief and third party interests. She is best known for her work where the interests of children are concerned - and where she has valuable prior experience as a social worker - one source calling her “very experienced” in this area and pointing out that she “fights her corner” here particularly tenaciously. Frances Irving has been recognised by Doyles as a Leading Junior Counsel in the Family, Divorce and Matrimonial arena from 2016 - 2018 inclusive. Frances Irving of Des Voeux Chambers devotes her entire practice to family law matters, covering all branches of the discipline, but focusing most closely on child and welfare issues, one interviewee describing her as “one of the most experienced handlers of children’s matters” and adding: “She’s great on that.” She acted for the respondent father in JDYS v EYCK, a shared care dispute in which her client sought to have the case referred to the Court of Appeal. Frances was brought up and educated in Scotland, and trained as a Social Worker at Edinburgh University. She worked in this field for many years, in matters relating to children’s welfare, both in Scotland and then Hong Kong, before taking up practice at the Bar. She was called to the Bar in 1996 in London and 1997 in Hong Kong. She joined Des Voeux Chambers in 1999 having served part of her pupillage there. Frances’ practice is exclusively in the family jurisdiction and she deals with all aspects of matrimonial law. She has experience in ancillary relief cases involving nuptial settlements, trusts, companies and third party interests. She has been involved in many cases involving jurisdiction and forum disputes. She was one of the team of counsel who acted in the Court of Final Appeal case of LKW v DD. A great deal of Frances’ work concerns children’s issues, being Custody, Care and Control, Removal applications, applications under the Guardianship of Minors Ordinance, Wardship, and Hague Convention cases. Frances has given frequent talks and workshops to practitioners on family law and practice and has taught Family Law and Matrimonial Practice at Hong Kong University SPACE. She was a contributing editor to Family Law and Practice in Hong Kong. Frances is a member of the Working Group on Children in Family Proceedings chaired by The Hon. Mr Justice Hartmann JA. She is a member of the Executive Committee of the Family Law Association.